Trying to find a fantastic place to base yourself in Sydney, the capital of New South Wales? Whether you're on a box wine or top-shelf champagne budget, you'll find the perfect hotel in Coogee, 7 kilometres from the centre. Sure, you could spend your long-awaited break doing nothing but kicking back with your feet up and a refreshment in hand, but you'd be seriously missing out. Sydney boasts a range of incredible sights, like Bondi Beach, Sydney Opera House and Sydney Harbour Bridge. You've gotta see them! Refresh yourself with a trip out to Tamarama Beach. Bring the kids, and bask in the sunshine! You'll find a few places to crash not too far away. The Adina Apartment Hotel Bondi Beach Sydney and Crowne Plaza Coogee Beach are awesome spots to rest your tired noggin. At Bronte Beach, the sunshine and sea air await. So pack some sunscreen, and head out to enjoy the waves. 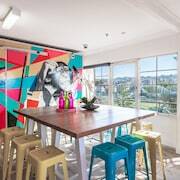 You can throw down your bags and get some sleep at the Ultimate Apartments Bondi Beach and The Savoy Double Bay Hotel if you plan to visit this attraction. 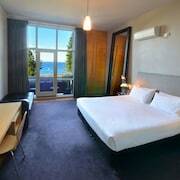 The more you save on accommodation, the more you'll have to spend on awesome Coogee experiences! 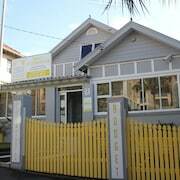 The Coogee Beachside Budget Accommodation - Hostel is one of the only budget accommodations here, so there's no time to waste. You really don't need soft bathrobes, an appetising room service menu and 1000 thread count sheets all of the time (but, it's nice sometimes, right?). 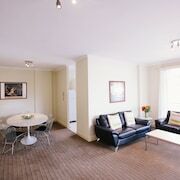 The deluxe options here include the AEA The Coogee View Serviced Apartments and Coogee Sands Hotel and Apartments. Been burning the candle at both ends? Need a caffeine kick? Easy. Just follow the smell of coffee beans to Little Jack Horner. Luckily, it's not far away, so your heavy head won't have to wait too long! Xcel Roll (Hong Ha Bakery) is the ideal place to go when the caffeine kick wears off. Offering a delicious menu, the only problem you'll have here is choosing what to order! 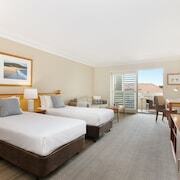 If you and the squad are having dramas finding the right room in Coogee, take a look at our Coogee Beach hotels guide. 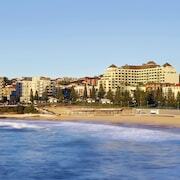 Alternatively, our lastminute.com.au Sydney Eastern Suburbs hotels guide will sort you out. So, get a wriggle on! It's time to pick out your perfect Coogee experiences, accommodations and flights. And don't forget to tag us in all of your awesome #GlobalTraveller moments!